As in previous years, on May 22, Leira’s Day, the Municipality recognized 12 prominent personalities for its contribution to the development of the region. 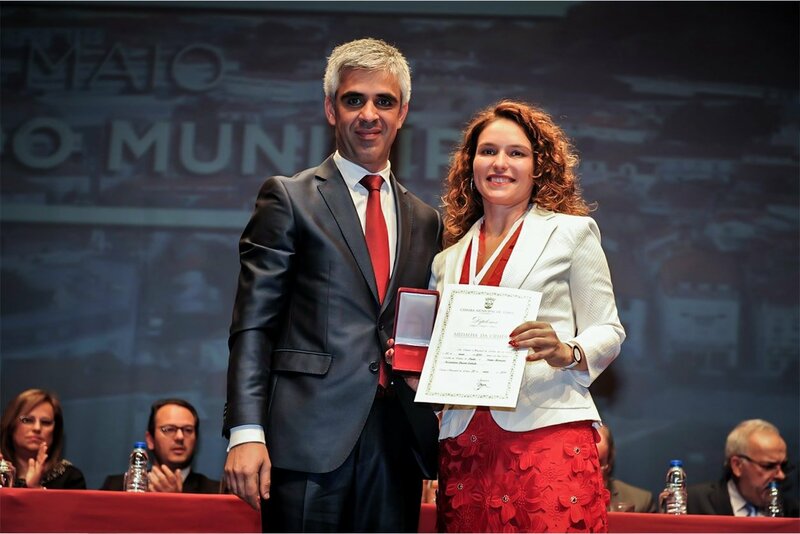 It was with great pride and sense of sharing that Sónia Calado, administrator of DRT Group, received the Silver Medal for its ‘entrepreneurial character and exemplary carrer path’ that has strongly contributed to develop the molds industry and the county of Leiria. In turn, Sónia Calado, highlights the ‘partner, friend and husband Valdemar Duarte mentor and promoter of all the projects that we have achieved, always in good partnership’. With an open smile, they share this award with all the employees who are dedicated to the common mission of making the DRT Group a benchmark for innovation and quality, along with one of the best Portuguese companies to work for.